Analyzing the sources of Islamist fundamentalism is key to understanding how it thrives in the modern world. Right now ISIS, al Qaeda, Boko Haram, and the Supreme Leader of Iran know that Islam toppled two of the biggest superpowers in history—Rome and Persia—then took over two-thirds of the inhabited world. Militant Muslims believe that Islam is on the brink of doing it again. 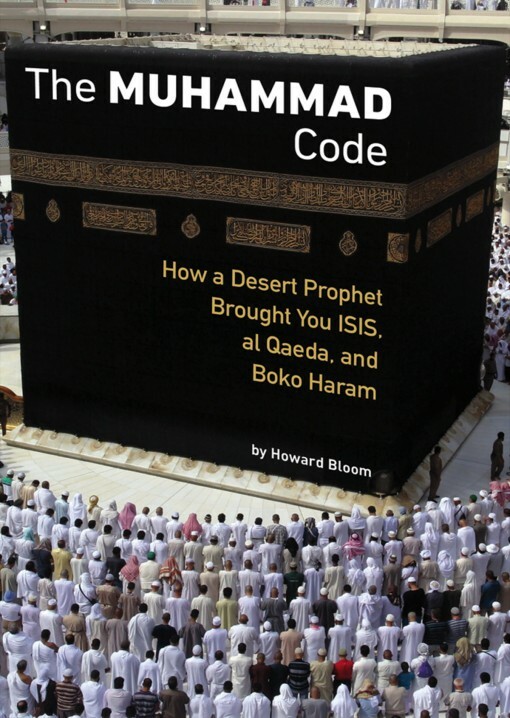 The Muhammad Code: How a Desert Prophet Brought You ISIS, al Qaeda, and Boko Haram lays bare the origins of this profoundly dangerous belief. Many contemporary thinkers excuse Islamic violence as a legitimate reaction to Western imperialism. They blame America’s wars in Iraq and Afghanistan and the establishment of Israel in 1948. But Jihad was invented in 624 AD by the only prophet ever to call himself “The Prophet of War.” And that prophet was not responding to “legitimate grievances,” but an ambition for world conquest. Howard Bloom is a polymath genius. His work explores pop culture, mass social movements, space travel, theoretical physics, and The Grand Theory of Everything. He is compared to everyone from Stephen Hawking to Isaac Newton by writers, thinkers, and scientists.